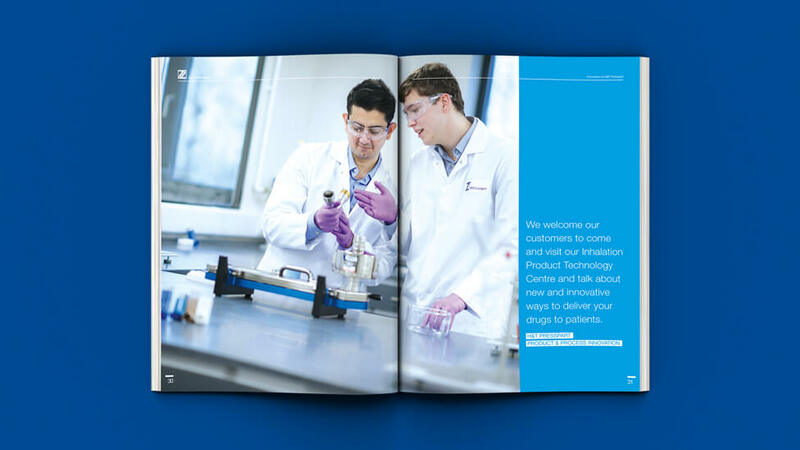 To help promote H&T Presspart’s leadership in product and process innovation, we created a piece of promotional literature that goes beyond traditional sales brochure design. The Healthcare industry is constantly developing new solutions to improve the quality of patients’ lives, and so is our client. So much more than a manufacturer, H&T Presspart is a leader in innovation which has stayed at the cutting edge for decades, thanks to continual investment in research, development and infrastructure. To create a piece of promotional literature that goes beyond traditional sales brochure design. Instead, this marketing tool had to help sales teams introduce H&T Presspart to new target audiences as a global leading specialist, driven by constant innovative solutions, and always striving to stay ahead in its field. It also had to help cement our client’s reputation amongst existing audiences. All through engaging and memorable ways to showcase the company’s expertise in product and process development. Our final design turns a sales brochure into a content-rich marketing magazine – filled with insightful articles, strong and appealing product pages, and interview features – where the message to the audience is clear: you can rely on H&T Presspart to achieve what others are not capable of. Bold use of colour throughout the marketing brochure design suggests authority and confidence, and serves as a solid foundation for the wide range of engaging content. Strong photography – in harmony with our client’s multilingual website – helps illustrate H&T Presspart’s leadership, and establishes a connection between the strengths of H&T Presspart’s teams, and the products and processes made reality thanks to their energy, motivation and expertise. A nod to the company’s in-depth technical knowledge flows through every page thanks to the blueprint treatment applied to technical drawings. 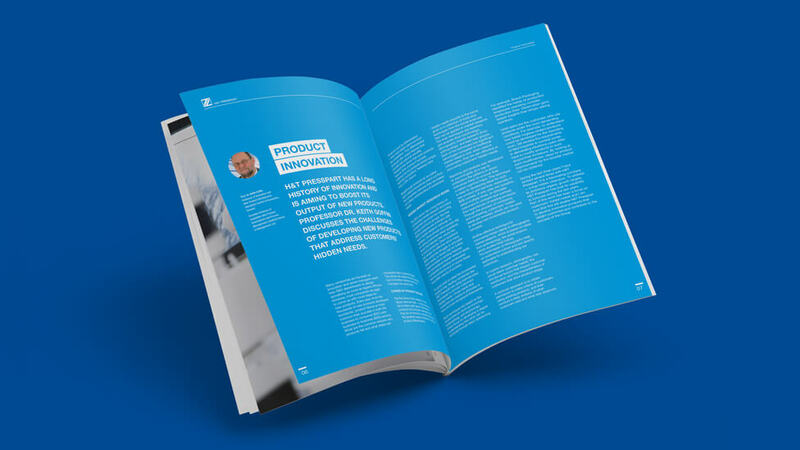 Our design team paid special attention to the way technology and processes are presented throughout the marketing brochure design, highlighting product benefits and features through distinctive and memorable visual treatments. The use of capitalisation helps structure content and suggests H&T Presspart’s confident voice in the industry. Simple infographic-inspired visuals help distill the complexity of H&T Presspart’s products and processes, whereas close-up images bring audiences closer to the products, and help highlight ease of use.